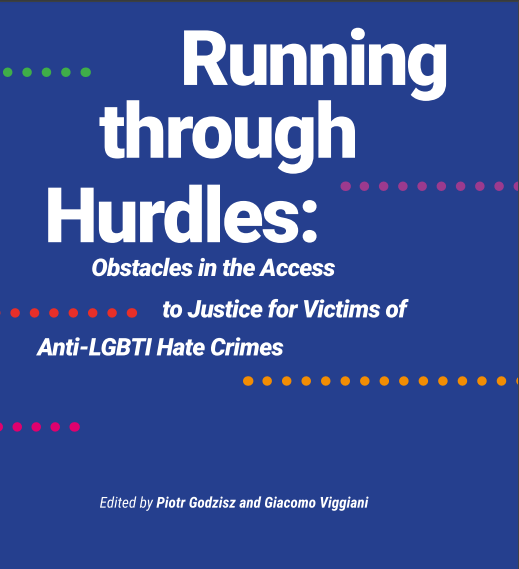 By reviewing the legal and policy frameworks and analyzing the institutional deficiencies in reporting and recording anti-LGBTI hate crime and access to victim support in ten EU countries, the report sheds much needed light on the obstacles to the accessing justice faced by victims of anti-LGBTI hate crimes in the EU. Why is the number of reported anti-LGBTI crimes in Europe so low? What are the barriers to reporting? How are victims’ rights protected? What do states do to encourage victims and witnesses to come forward? How are police, NGOs and support services prepared to deal with anti-LGBTI hate crimes? What regional differences in the response to anti-LGBTI hate crime can be observed?